What is an accounting debit card? 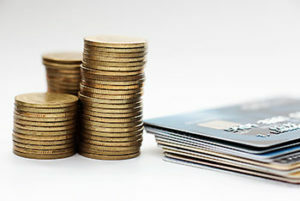 An accounting debit card is a specialized type of business card that helps to streamline expense tracking and management and automate payment processes. This can be a strong tool for accounts payable staff, who are forced to wear many hats and track substantial amounts of money. According to projections by Deloitte, the B2B payments market in the U.S. is growing at 5.8 percent CAGR, and it is expected to reach $23.1 trillion by 2020. Behind all of this activity are accounting professionals who are diligently working to track every dime of these payments, reconcile accounts, and find expense leaks. How does an accounting debit card work? An accounting debit card is a business debit card that provides transparency and extensive expense tracking. Businesses can restrict the spending amounts on each card by the day or week and can further restrict where and when they can be used. When employees use the cards, the transaction information automatically imports into your company’s accounting software into the correct expense category. Photographs of the receipts can be submitted electronically with the transaction data, ending substantial headaches for your accounting staff. Accounting debit cards differ from accounting credit cards in several ways. When accounting debit cards are used, the purchases are subtracted from the company’s existing account balance in the linked debit account. Accounting credit card purchases are charged against an existing line of credit that is associated with the card. Accounting debit cards do not result in interest charges or add to the company’s debt. By contrast, accounting credit cards may add to your company’s debt and may result in high annual rates of interest being charged if the balances are not repaid in full each month. Finally, accounting debit cards are more transparent than accounting credit cards. How do accounting debit cards differ from prepaid debit cards? Debit cards for accounting purposes differ from prepaid debit cards in a few ways. Prepaid debit cards can be purchased online or in stores by both consumers and businesses in specific dollar amounts. The balances on the cards are limited to the amount for which they were purchased. 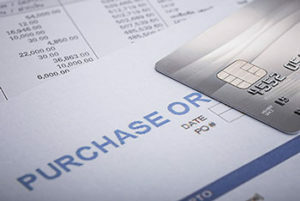 Prepaid debit cards allow companies to limit spending by their employees by choosing how much money to put on the cards. However, they may not have the same expense control features and tracking that accounting debit cards offer. Using cash and checks in your business can expose you to substantial risks of fraud. If your employees have access to petty cash, they may be tempted to steal some of the money. As is illustrated by a bookkeeping case below, checks can also expose businesses to fraud because bookkeepers or accounting staff may make false entries, issue checks to themselves, or pay fictitious vendors. Using accounting debit cards in your business can allow you to end cash- and check-based payment systems at your company. The spending on the cards is highly transparent. Since the transaction data uploads automatically, it is difficult for would-be thieves to alter the information. Debit cards can simply the expense management and tracking at businesses while also helping with reconciliations. Since the receipts can be photographed and uploaded and the data is imported automatically, the cards can help to prevent errors made during manual entry. The cards also help to keep accounting staff from having to spend time tracking down receipts from employees. The data can import into the correct expense categories, making end-of-the-month reconciliations and quarterly taxes much easier. Which is better for businesses? Some businesses can benefit from accounting credit cards to track and manage their expenses, but debit cards may offer more benefits. The cards allow business owners to check on the card balances and how their money is being spent at any time so that they can serve as a check on their employees, including their accounting and bookkeeping staff. Debit cards also let businesses avoid going into debt, and the cards can have stringent controls placed on them such as daily spending limits and restrictions on where they can be used. Business owners can also turn individual cards off or on by tapping a button on their mobile devices. Trying to track employee expenses can be difficult without a good expense management system in place. Businesses that do not have strong controls and systems in place may suffer substantial losses to fraud. Moving away from reimbursements, checks, and cash systems can help to make the management of employee expenses straightforward. By limiting the access that your employees have to your accounts and to your money, you can prevent unauthorized purchases. You can also see how your employees are using their cards 24 hours per day from your interactive dashboard. Debit cards with accounting features can be turned off or on remotely, which makes them more secure than consumer debit cards. If you see that an employee has attempted to make an unauthorized purchase, you can turn his or her card off instantly. You can also set individual spending limits on each card and make the cards usable at only the locations that you choose. By contrast, consumer debit cards can be used to spend up to the amount established by the bank or up to the account’s balance. They cannot be restricted by where they can be used, and you cannot shut them off remotely. Business fraud is a pervasive problem, and it is on the rise. The Association of Certified Fraud Examiners reports that businesses reported that they averaged losses of 5 percent of their annual revenues in 2017. Preventing fraud is imperative for businesses of all sizes. Small businesses are likelier to lose more money in fraud schemes because of weak internal controls. Businesses can check their risks of fraud by using our online fraud risk calculator. The calculator is free to use and takes only a few minutes to complete. It will provide you with information about ways that you can tighten your fraud prevention measures so that your business can identify fraud more quickly and prevent it from happening. In a recent case in the U.K., Chris Marsh, the chief financial officer of Patisserie Valerie, a cafe chain, was fired after accounting irregularities were discovered. The fraud resulted in a reported $25.9m accounting hole that has not been explained. Patisserie Valerie also reports that it had an unpaid tax bill of $1.48m. The company, which is publicly traded, said that the accounting fraud may result in a substantial change in its overall cash position. Marsh, who was suspended from his job, had worked for the company as its CFO since 2006. Marsh was subsequently arrested on Oct. 12 in Hertfordshire. How and where can I get an accounting debit card? While a variety of companies offer business debit cards, few have expansive expense tracking and control features. 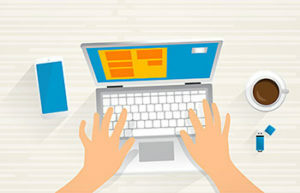 You will need to invest some time reading business card articles to find the card that has the features that you need. You should compare different cards and pick the company that offers the most features and automation. This can help you to find the accounting and expense management solution that you want and need. Bento for Business is a company that offers debit cards for accounting with enhanced expense management and controls. With the cards, you can control where your cards can be used, when they can be used, and how much each employee can spend. For example, if you own a bakery, you might give a card to your baker with a $200 limit to purchase flour and other ingredients from your preferred vendor. The delivery driver might be given a card with a $20 daily limit for gasoline while he delivers cakes and donuts to offices around your city. 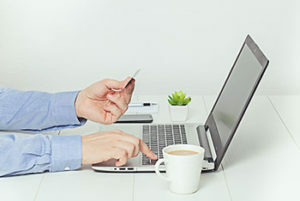 Bento for Business has developed a strong reputation as a leading provider of expense management and accounting solutions with its Bento for Business Visa debit cards. Businesses are able to order up to two cards per year for free and can get up to 10 cards for as little as $29 per month. Since the cards are not credit cards, you will not need to submit to a credit check. Bento’s cards come with extensive accounting controls to help you to track and manage expenses while preventing fraud. To get started try our free 60 day trial, or learn more by calling us at 866.220.8455.